The MD194 Mark II is an upgraded model of our existing Garden Shed/Property Alarm. The same pin code system protects doors and windows from the threat of attempted entry via its Vibration Alarm. However, in addition the unit has a Door/Window Contact which would offer added protection from unauthorised entry. The MD194 Mark II will emit a 130db alarm if activated. Suitable for garden sheds, garages and caravans. The MD194 Mark II Property/Garden Shed Alarm is easy to install and can be used in a number of locations including Garden Sheds, Garages, Homes or office premises. This alarm is useful when one or more person requires access to a property as a communal code can be set. 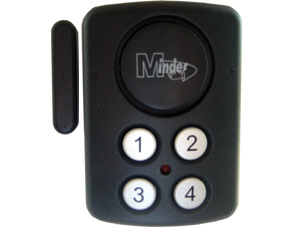 - a keypad for arming and disarming the alarm. 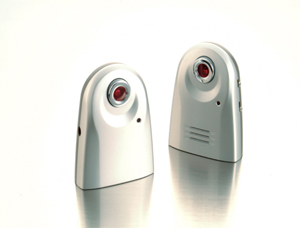 If the alarm is triggered, a 130dB alert is sounded to deter the intruder and notify people nearby and will continue to sound for 15 seconds before re-setting. If the door is opened again then the alarm will re-sound. This alarm is easy to install and is operated by batteries thus removing the need for wires and mains power. The keypad is fully programmable and easily reset if needed and the alarm gives delay time for entry and exit of the property. Entry delay of 10 seconds / Exit time delay of 20 seconds. Magnetic contact can be placed left or right as desired.